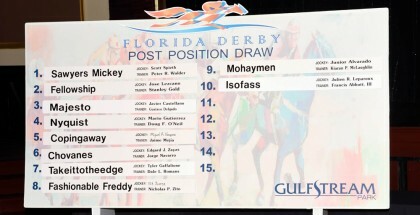 The West Coast’s top representative for the 2012 Kentucky Derby is certainly I’ll Have Another. 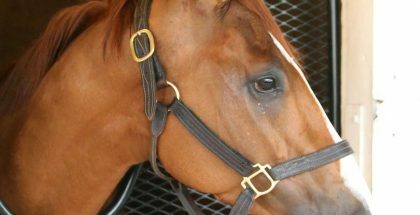 The racehorse’s recent win at the Santa Anita Derby last Saturday made headlines in more ways than one. This racehorse has a mobile party cheering him on! 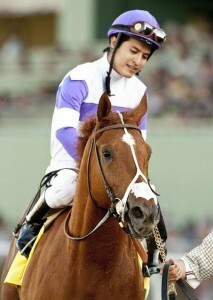 Winner of the 2012 Santa Anita Derby, I'll Have Another. I’ll Have Another won the 2012 Santa Anita Derby by beating out Creative Cause who was a favorite with 9-10 odds. 25-year old Mario Gutierrez was the jockey for the race and is now on his way to the 2012 Kentucky Derby with I’ll Have Another. The young jockey is extremely excited saying it’s every jockey’s dream to end up at the Kentucky Derby. Jockey Mario Gutierrez is known as “Marvelous Mario” on the Canadian racing circuit. Rumor has it that I’ll Have Another was named because Paul Reddam constantly asks his wife, Zillah Reddam, for more freshly baked cookies. After seeing the winner’s circle at the Santa Anita Derby I can’t help but speculate the name is referring to another cocktail! 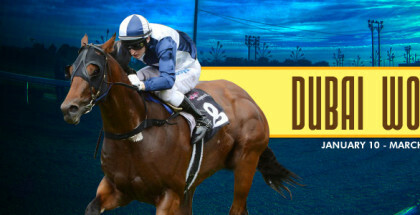 Lady At The Track would like to wish trainer Doug O’Neill, jockey Mario Gutierrez, owners Paul and Zillah Reddam, and the amazing I’ll Have Another the best of luck at the 2012 Kentucky Derby.